SKU: 2714. Listed in: Boy, Costumes Kids. Tags: book week, costume, dahl, fantstick, Mr fox, roald. 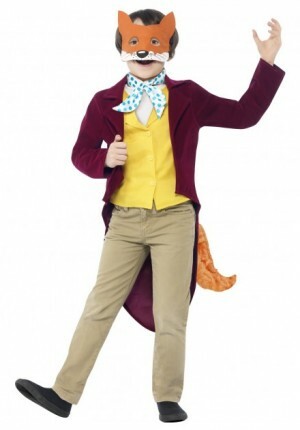 Fantastic Mr Fox Roald Dahl costume for kids to purchase. A great costume for children’s book week to buy. Product information; Roald Dahl Fantastic Mr Fox Costume, Burgundy, with Jacket, Tail, Waistcoat, Mask & Cravat. Sizes medium and large.